Information supplied by Floyd S. Werner, Jr. 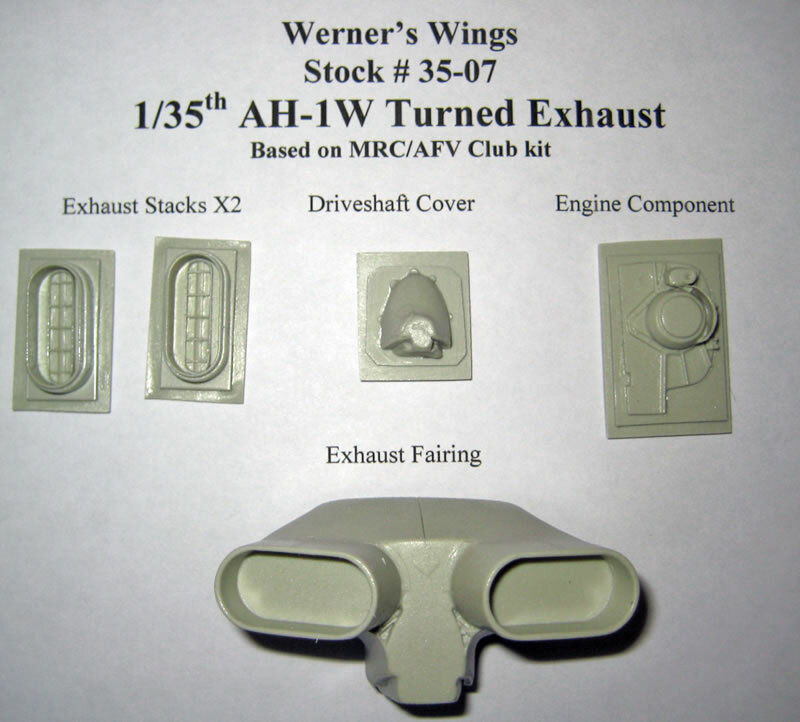 The Werner's Wings AH-1W Turned Exhaust for the MRC/Academy/Italeri/AFV Club 1/35th scale kits has been released. The cost is $25 plus shipping and is stock number 35-07. It is available immediately for release. 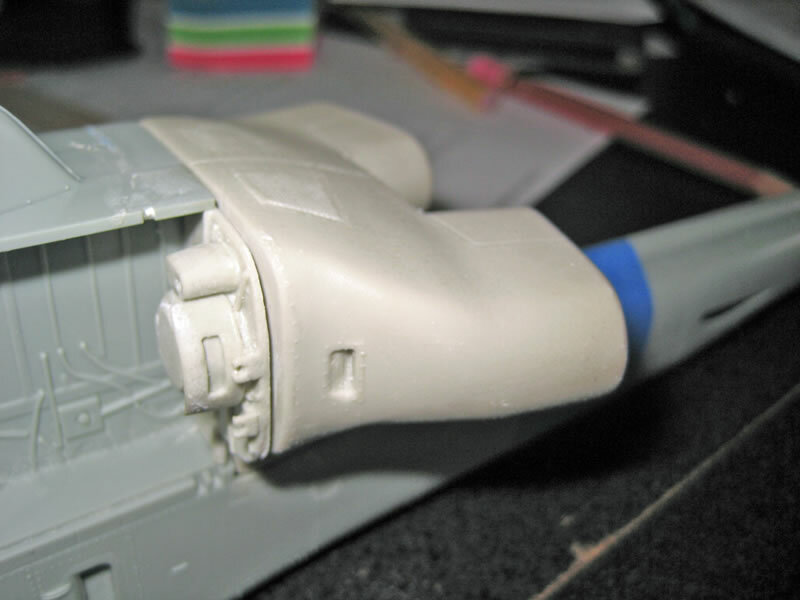 OK after much work and delays I am proud to announce the release of the 1/35th AH-1W turned exhausts, set# 35-07. I'd like to publicly thank Randy Smith, Gino Quintiliani, and Chris Baretta for their help in making this conversion happen. All these gentlemen helped in some form or another with this project. Thank you guys. 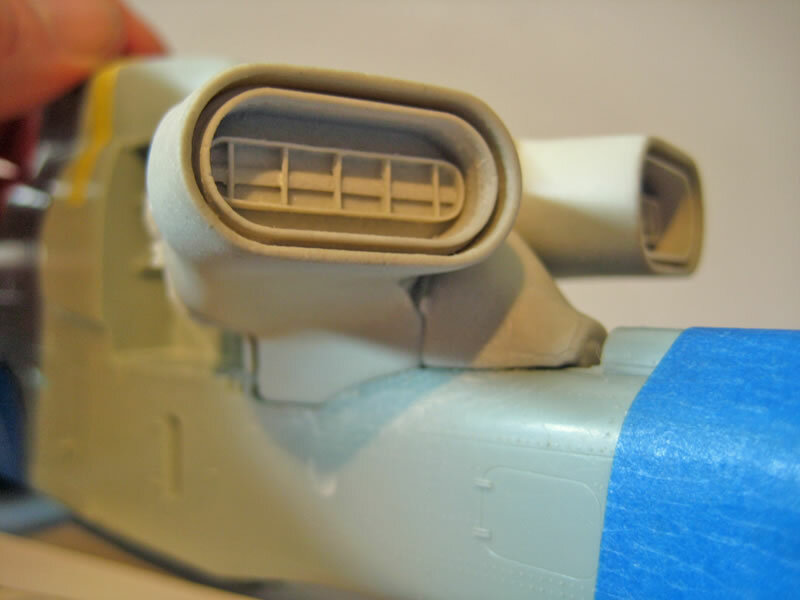 It is people like you that make helicopter modeling fun. AH-1W exhausts are $25 each. Here they are just sitting on the model without glue or paint. Also I am test marketing something new, Helicopter Posters for your model room wall. The original artwork is done by Marcelo Ribeiro. The first release will be the OH-58D Kiowa Warrior in SFOR markings, Stock # Poster 1. I hope these do well enough that we will be able to offer other helicopters in the future. Right now I only have 10 copies. I have plans for a couple of AH-1F Cobras. The cost per 11" x 17" (279 x 432mm for our metric minded friends) high quality print on smooth gloss paper is $20. These are suitable for framing and would look great next to your finished model. I've always wanted to add something like this to my walls and there weren't any Army subjects that I really liked. So Marcelo was nice enough to do this one for me. Thanks to him for doing such a great job. I'd have to say these are some of the most accurate drawings out there of the Kiowa Warrior. For now you will not see these on the website as I'm trying to get it updated. Just as an aside, once I do get it updated there will be a slight rise in some prices as the price or resin and/or reproduction has gone up. Until the update hits the streets the prices are the same as listed. So if you wanted to order and were waiting for a better time, now is that time.